NEW TO THE MARKET, IMMACULATE, MODERN, LIGHT, PERFORMANCE SLOOP. 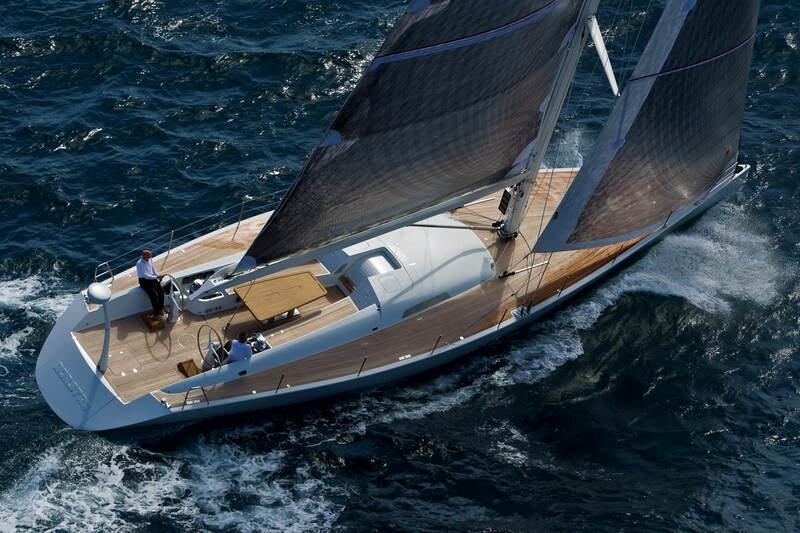 A light displacement, contemporary sloop, designed by the award-winning Luca Brenta for performance and comfort. The 5th in a series of Maxi Dolphin, MD65s, Adastra was launched in 2010 and is in as new condition, with only 1 owner since new and a continual maintenance programme. Superbly conceived for sailing, socialising & lounging on deck, with a spacious cockpit area and open flush decks. Fitted with an automated sailing system for 1 person to operate she is ideal for an owner operator or for sailing with friends & family but is also equipped with a crew cabin. The light white and dark wood contrasted interior is minimalist by design and well laid out for various guest configurations with a double owner’s suite forward, then aft 1 side by side twin and 1 bunk style twin, all with en-suite. Mid-ships between the master and guest cabins is the interior social area, comprising dining, lounge, charter table/navigation area and the galley. The tender garage aft houses 1 Aer Marine 6Hp Mercury tender and the large fold out bathing platform. A must see for enthusiasts if sailing and style.